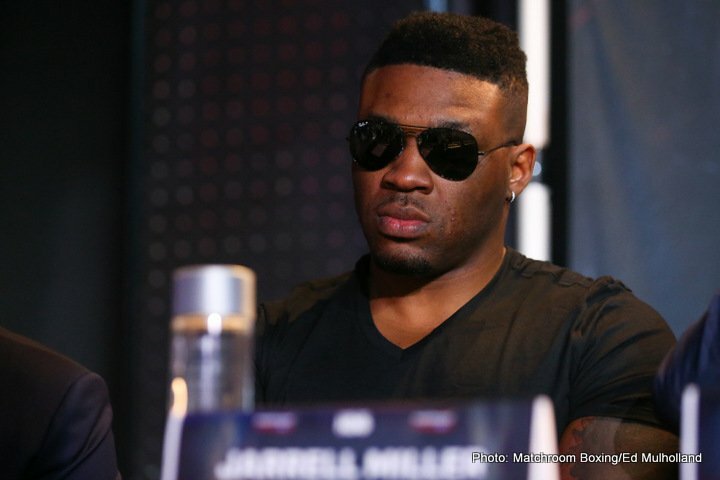 Daniel Jacobs’ upcoming opponent is likely to be Polish warrior Maciej Sulecki, and on the same April 28 card set for Barclays Centre in New York, unbeaten heavyweight contender Jarrell Miller could face Frenchman Johann Duhaupas. According to a report via RingTV.com, with ESPN.com also reporting the news, Duhaupas, 37-4(24) will likely be the next fighter to try and attempt to derail “Big Baby,” on the card that will go out on HBO. The 37 year old is best know for giving WBC heavyweight champ Deontay Wilder a good run for his money back in September of 2015, Duhaupas surprising quite a few people by lasting into the 11th round and also giving “The Bronze Bomber” a shiner. Since then, Duhaupas has KO’d Robert Helenius but he has been KO’d by Alexander Povetkin (Duhaupas taking the December 2016 with the Russian star on very short notice). While in his last three outings, against decent if not great opposition, the man from Somme has kept a clean sheet, winning all three by stoppage. 29 year old Miller, unbeaten at 20-0-1(18) was thought to have been set to face fellow unbeaten Trevor Bryan on the April card but now it looks set to be Duhaupas. Miller struggled, or at least laboured somewhat in his last fight, when he finally stopped the huge Mariusz Wach in the ninth-round in November, also in New York. Miller himself was less than satisfied with that showing and he will likely be going all-out to score an impressive KO in this one. Fans have been following Miller for some time now, and we are still unsure how good he actually is. Big, athletic, powerful and loaded with charisma, the Brooklyn man has been calling for a word title shot for a number of months. Can Duhaupas test him? Possibly, but it would be one massive upset if “Big Baby” was beaten on April 28. Miller will no doubt be looking to get rid of Duhaupas in quicker and more impressive fashion than Wilder managed.